- How much does it cost to take the lift to the top of the SkyTower©? 30-40 minutes from dinosaur trees!!! I still remember the first person who said this - we had taken her to the Cascades Kauri walk to show off our bush (It's on the way to Bethells beach Mike :)). She looked at the podocarps and shouted "dinosaur trees!" which is of course exactly what much of our bush is. I had just grown up with them and never thought of them as the same trees dinosaurs ate when they stomped around. It could have an awesome view. The sports field in the crater up there is quite bizarre, although it's no worse a use than many. I just don't get what's so marvelous about the pohutukawa forest blocking all the view at the top. Of all the places that we can and already do have pohutukawa stands, it's basically the worst possible choice. Such an iconic view of Auckland. Cars, smog, you can almost taste the future. "the air is so clear"
There are many (mainly Asian) tourists walking up from their tourist buses, they look a bit anxious at the bottom but sure enjoy it at the top. I think it is a much better tourist experience, well in summer anyway. Russell, have to agree with you the place is transformed without cars and is a treasure so close to the CBD. Really not sure what the answer is for those who can’t easily walk. I think what has been done with a disabled access code is probably the best solution until some entrepreneurial student comes up with a rickshaw option! Of all the places that we can and already do have pohutukawa stands, it’s basically the worst possible choice. Agreed. 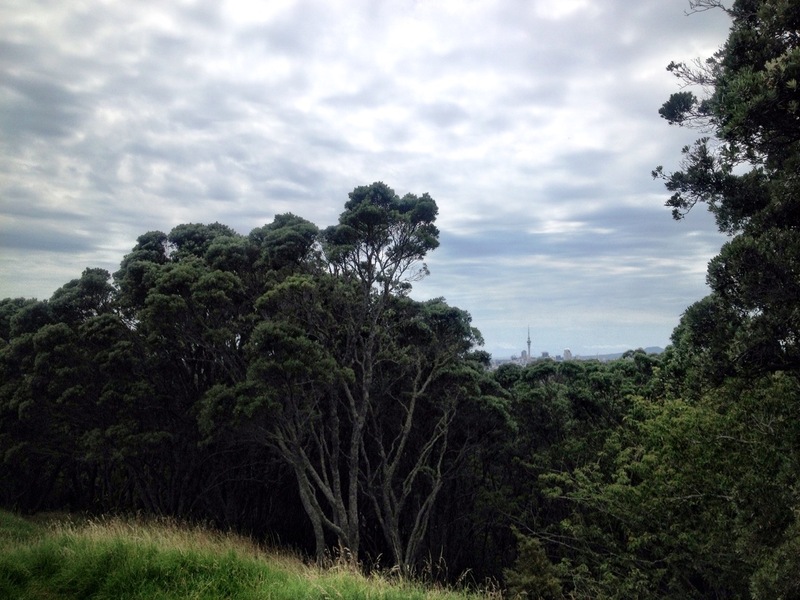 But Mt Eden gives better views of the city (we can usually pick out their hotel) and Rangitoto. Mt Eden is also the highest point on the isthmus. Rich was specifically addressing Pippa Coom's photo, in which the carpark looks like ... a very crowded carpark. Then a representative of Ngati Whatua (an iwi I have close personal ties with) accosts us. Are there any local cultural issues with actually standing on the top of Mount Eden generally, despite that everyone probably does it? People standing on top of Mount Taranaki have triggered some complaints from local iwi in recent years (example). I expect the offence has probably always been there but the conflict is really only surfacing lately with highly publicised events like groups hauling up barbecues and trampolines, or reports about excessive impact near the summit. Maybe it can......but I'm struggling to get a handle on just how a crater made of volcanic rock can get destroyed by human feet (or sports shoes, for that matter) stepping up and down its slopes. Maybe if *everyone* climbed down into that steep, deep hole then the grass and soil might get eroded, but could the rock crater really get destroyed??? Does anyone else recall the old mechanical cash register in there? It's long gone now, but stayed for many years to my recall.. presumably thrown from the top as a lark, and not removed for considerable time due to it's weight and the difficulty of the slope? I'm sure I saw it at least ten times, only visiting a few times a year? Maybe if everyone climbed down into that steep, deep hole then the grass and soil might get eroded, but could the rock crater really get destroyed??? Give 'em an inch (or a second) and they'll take a kalpa! I’m sure I saw it at least ten times, only visiting a few times a year? Ian your puns are catching. It's a scoria cone, Philip. Basically a big pile of basaltic tephra (fragments of magma thrown out during eruptions). Many of Auckland's scoria cones have been damaged by quarrying for construction materials, which is why it is so important to preserve the remaining ones. Yeah, I don't expect change. I just voice my opinion on what is good, in balance. With Mt Eden, the balance is that something was added as something was taken away, and what was taken away was something I used to use a lot. I very much doubt that was was added (basically a cleared carpark) will outweigh what was lost (many future visits to this site). Similarly with Mt Albert, the admittedly pleasant walk beside some native tress is stacked against the 50% loss of something spectacular, and I find it wanting in the calculation. I remember the first Solar Plexus on Maungawhau in the mid 80's, I spent the day on the summit of Mt Donald McLean, the highest point in the Waitakere ranges, painting sun shadows, which would be smeared and erased by the mid winter squalls. I listened to some of the day long drumming broadcast by Bfm, on a wee transistor radio. We're lucky that Fletchers didn't dream up a plan to plant 1500 homes on the volcano, or the government may have had to intervene on their behalf to help the destruction in the face of protests by local residents - like they did with Three Kings last week. For some reason I felt compelled to provide an illustration of your point about the (non) view from Albert. So here's a pic looking northwest from the tihi. Y U MAKE ME DO THIS BEN? I know busting a gut is good sometimes, but …. May I then suggest you not cycle to check out my suggestion of Pukematekeo - go with the aid of an internal combustion engine. The climb from Scenic Drive is a gut buster, even taking into consideration that all of Scenic Drive is gut-busting. In my defense, you could have driven, like what you used to be able to do at Mt Eden. Yeah, it's a killer climb, particularly the on-road bits before you get to the gate. Summit drive pretty much goes straight up the side. You can come down it pretty fast. The south view is good, and the north view can be seen from lower altitude from various spots along the road. The top could be amazing. Mt Eden would still be better, though, because of where it is, not to mention the stunning crater, which would NOT be improved by being full of pohutukawa, however natural that might be. You can come down it pretty fast.